Prior to the civil war of 1922-1923, the Irish Republican Army (IRA) principle allegiance was to the national government assembly known as Dáil Éireann. However, many members of both the IRA and the Dáil found that they could not agree with the terms of peace and the future governance of Ireland which had been laid out in the Anglo-Irish Treaty. Those who were against the treaty felt that they no longer owed allegiance to the Dáil as it represented only a 26 county southern Free State and not the 32 county republic that they had fought for. In the event of the split, the pro-treaty forces formed the National Army but were commonly called the Free-Staters. Then anti-treaty forces were known as the Irregulars or the Republicans. They retained the title Irish Republican Army. The civil war came to an end with victory for the pro-treaty forces when Frank Aiken, Commander in Chief of the IRA called a Ceasefire on 30th April 1923. 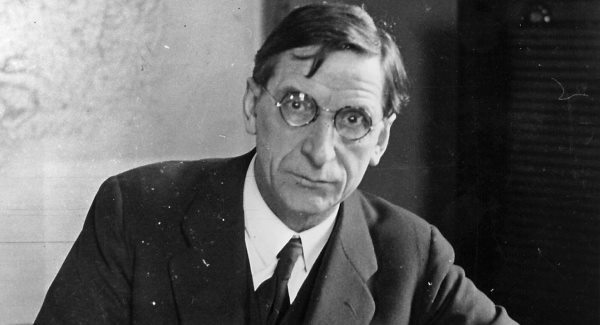 The order to dump arms was given for 24th May and was supported by Éamon de Valera. This surrender was followed by thousands of arrests and jailings de Valera and his supporters then tried, with limited success, to wean the IRA away from military objectives and accepting constitutional means to obtain the republic. Breaking from Sinn Féin which had refused to recognise the Free State, De Valera formed a new political party, Fianna Fáil, (The Republican Party) in 1926, which ran in the June and September general elections of 1927 securing 44 seats (28.7%) and 57 (37.3%) respectively. In the general election of 1932, Fianna Fáil, a much more organised party, secured 72 seats (44.5%) and with the support of the Labour Party was able to form a minority government. This was a tense moment for Ireland as it was feared that Cumann na nGaedhail, the pro-treaty party which had held power since the Irish civil war, was thought liable to attempt a coup d’ etat aided by the Garda Síochána and the Free State Army. However the principles of democracy won out. De Valera and his government hoped to maintain good relations with the IRA. To this end he legalised the movement allowing it to parade in public and began to free republican prisoners at the same time he also set about distancing the country from trappings of British rule by removing the Governor General who represented the British king and the oath of fialty. The IRA however were impatient and were seeking the immediate establishment of a republic. They had started to recruit and were involved in many street fights with members of the National Guard (Blueshirts), a fascist group lead by Eoin O’ Duffy, a pro-treaty Garda Commissioner sacked by De Valera on the grounds that he could not be impartial due to his political history. By now the IRA had rearmed and were involved in many incidents including assassinations. De Valera, recognised that they could destroy everything that he was working for, an Ireland which would be a republic and totally free of all foreign control. Also, he did not need them anymore. He was the power now in Ireland and he called the shots. In 1936 De Valera reintroduced the 1931 Public Safety Act banning the IRA and imprisoning its commander Moss Twoomey. He had finally severed his links with the revolutionary army that he was once a member of and he was not afraid to bring it to justice when needed. Modern Ireland 1600-1972 by R.F. Foster. Penguin Books. London. 1988. The IRA at War by Peter Hart. Oxford University Press. Oxford. 2003 edition. The History of Ireland in 250 Episodes by Jonathan Bardon. Gill & Macmillan. Dublin 2009 edition.